mm drills. After reaming out the tubes, a hole must be drilled to accept a socket screw in the position shown in the accompanying drawing. The purpose of the socket screw is to hold the drills firmly in position. 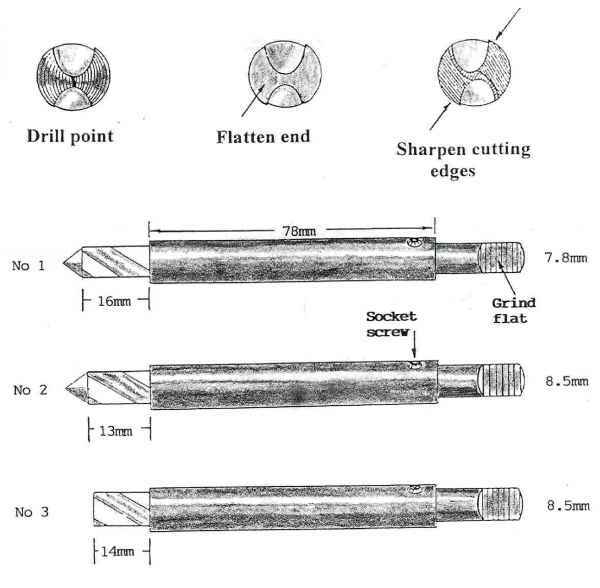 Only one drill, the 8.5mm (9.5mm for the .380), requires any alteration before the 'reamer set' can be used to cut the chamber. The point of this drill must be removed, and in so doing, create a flat ended cutting tool. This can be achieved quite easily by touching the end of the drill point against the spinning wheel of a bench grinder, while at the same time, slowly rotating the drill so the point is evenly removed. 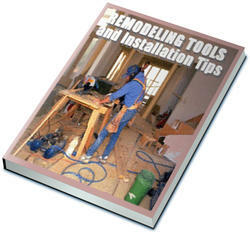 It is worth pointing out that if a drill press is available to you, the point of the drill can be accurately removed by simply putting the drill in the drill chuck and lowering the spinning drill onto a grit (Carborundum) stone, however, most of the drill point will still need removing first, using the bench grinder, before using the drill press method of finishing the end of the drill. flat ended cutting tool. Place each drill in it's respective reamer tube and adjust the Nol drill until it protrudes 16mm from the end of the reamer tube,(excluding the drill point). Now adjust the No2 and No3 drills to 13mm and 14mm respectively. The drill measurement is the same for both the .32 and .380 calibres. When each drill is adjusted to the measurements given above, tighten each socket screw to prevent the drills from moving during use. A flat side must now be ground onto the side of each drill shank so they can be turned using a standard 'tap wrench/Holder'. Before the reamer set can be used a guide tube is required to ensure the chamber is accurately cut. This is nothing more elaborate than a 6 to" to 7" length of 20.64 x 2.95 mm tubing. Our improvised reamer set is now ready for use. To cut the chamber proceed as follows. Firmly clamp the barrel tube in a vice at roughly a 45 degree angle to the vice jaws and slide the guide tube over the end of the barrel. Now slide the No 1 reamer drill into the guide tube as shown in the accompanying Photos, 45 and 46. Each reamer drill is used in the order it is numbered, i.e. one, two and three. Apply a small amount of cutting compound, if available, to the tip of each reamer and proceed to cut the chamber. Slowly turn each reamer while at the same time applying a small amount of forward pressure until each reamer has cut fully to it's respective depth. At intervals during the cutting operation, clean out any metal shavings from the inside of the chamber. After using the last (No3) reamer, place the No1 reamer back in the barrel tube and rotate it several times. This will be necessary to remove any burring present in the bottom of the chamber, caused by the use of the flat ended No3 reamer tool. Finally, using a wire barrel cleaning brush, remove any metal shavings etc, from inside the barrel and chamber. The chamber is now cut and it should be possible to slide a cartridge into the chamber. The cartridge must slide in freely and under its own momentum before coming to a stop. At this point the base of the cartridge should protrude 3mm from the barrels breech, as we saw earlier in Chapter Seven. After checking the cartridge fit and cutting the chamber mouth bevel, we can proceed to re-assemble the barrel. 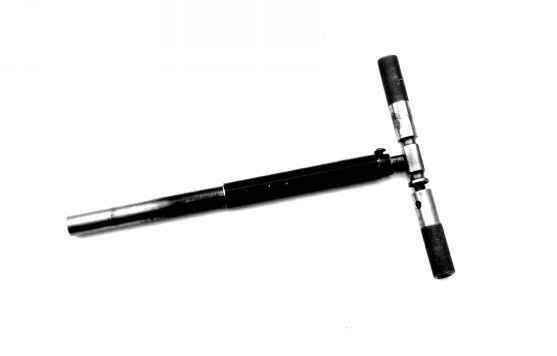 The improvised chamber reamer is not the ideal method of cutting the chamber of a firearm, but it will suffice if a professionally ground chamber reamer is, for any reason, unavailable. It is worth pointing out, however, that the genuine article is so widely available, that it is well worth investing in one. They are relatively inexpensive and make the chambering of any gun barrel a quick and easy operation. Photo's 45 and 46: The three piece reamer tool; and above, fitted to the barrel ready to cut the chamber. 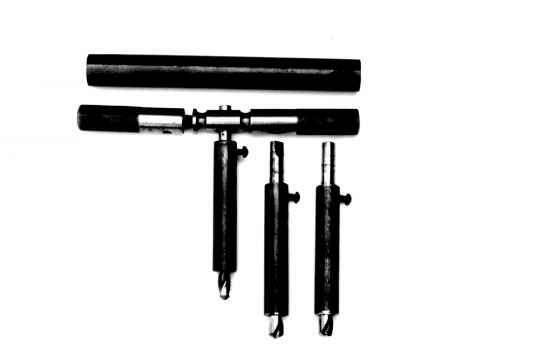 Note the flat ended No3 reamer tool; shown third from left. What is the length of a .380 chamber reamer? How to sharpen a drill bit on a bench grinder? How I make chamber reamers? How reamer a gun barrel? How to make a 9mm dtype reamer for chamber? How to make an improvised pistol barrel? What drill size is used for 9mm barrels? How machine a chamber reamer? How to build a chamber reamer? How to make a 9mm chambering reamer? What are the id measurements of barrel and chamber of 9mm? How to make a homemade bushing reamer? How to make chamber reamer 22lr? 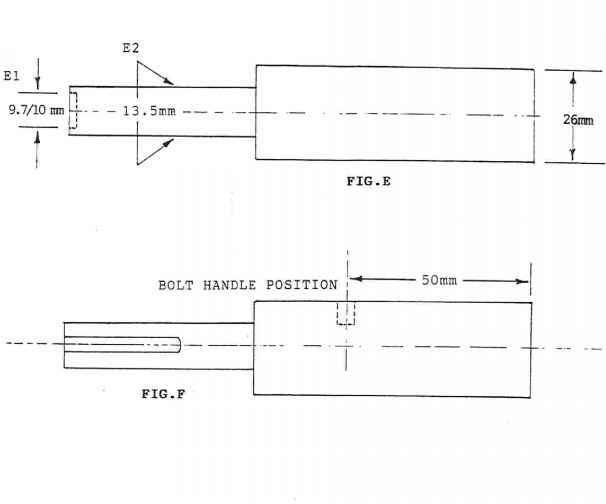 How to chamber a pistol barrel? How to make a finish chamber reamer?